How to Find & Order RO Replacement Filters: So it's time to replace the filters for your Reverse Osmosis water filtration system. Figuring out which filter or membrane you need to purchase can be overwhelming. Get started by determining the brand of model of your RO filter system. The most accurate way to get the right replacement RO filters is to identify the brand and model number of your current system. Follow the filter and membrane replacement schedule for your system to ensure your RO system functions properly. The RO membrane only needs to be replaced every 2-3 years. The other filters are typically replaced every 6-12 months. You may be able to purchase a replacement kit bundle which will provide all the filters for your system. If you have trouble placing an order, our customer service team is available M-F, 9-5 Central if you have any questions: (877) 377-9876. When the filters arrive, follow the instructions on how to change the RO filters and membrane. Note that when changing RO filters, it is strongly recommended that you sanitize and clean your RO system at the same time. Going forward, here are a few simple tips to keep your RO system in top shape. For answers to common RO questions, check out our RO Troubleshooting Guide . Ready to Replace Your Reverse Osmosis System? If you are considering a new RO system, here are suggestions on what to know before purchasing a reverse osmosis system that might prove helpful.  We've been in the water filtration industry for more than 25 years and are proud to carry one of the largest online inventories of membranes, filters and replacement parts for reverse osmosis, ultraviolet and a variety of other water filtration systems.